Elisbeh, who goes by the name Lisbet, was living with her mother and mother’s boyfriend in an unsafe situation until her father brought her to live with him. Though he drives a taxi, Lisbet’s father does not make much money and needs help to afford tuition. 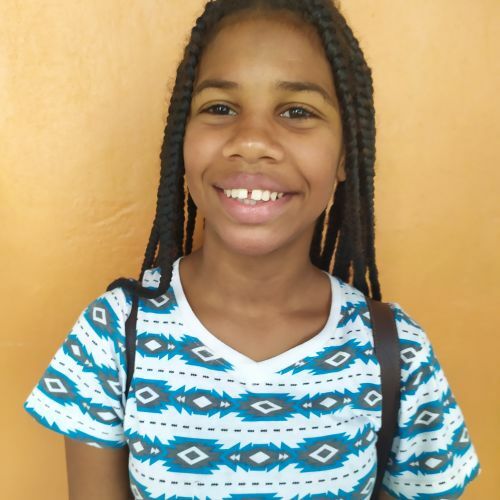 Lisbet is a sweet, smiling girl who is obedient in class and loves to help the teacher. At school, she most enjoys Spanish class.